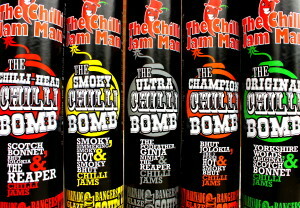 Here at Jam HQ we’re very excited to announce the arrival of our EXPLOSIVE range of Chilli Bombs! Our gift sets have always been very popular, but we decided it was time to make something extra special. 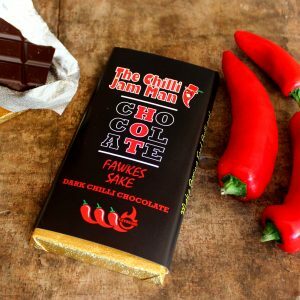 We have 5 of these fab new products to choose from – The Original, The Smoky, The Champion, The Chilli-Head and The Ultra Chilli Bomb. 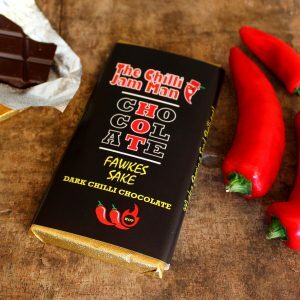 The Original Chilli Bomb, The Smoky Chilli Bomb and The Champion Chilli Bomb all contain 3 different flavours of our Chilli Jam and are £14 each. Then there’s The Chilli-Head Chilli Bomb which contains two standard jars and an Ultra Jam and is £19. Finally we have The Ultra Chilli Bomb which contains all three of our Ultra Jams and is £30. So next time you’re looking for a present (or just to treat yourself) then look no further!